Bring the King wherever you go! 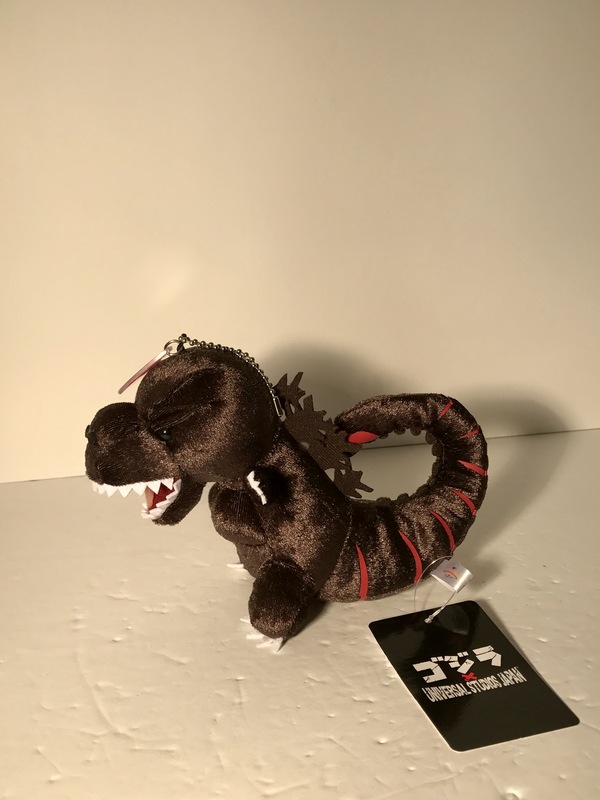 This Universal Studio Japan exclusive plush Shin Godzilla is just the right size to hang from your backpack, book bag or purse! 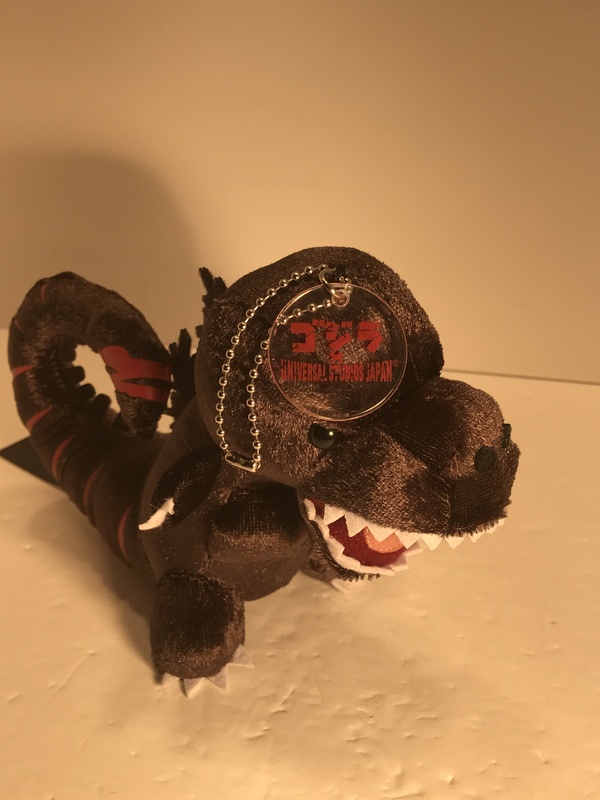 He comes with a chain and an official clear acrylic Universal Studios Japan medallion with Godzilla’s name in Japanese. 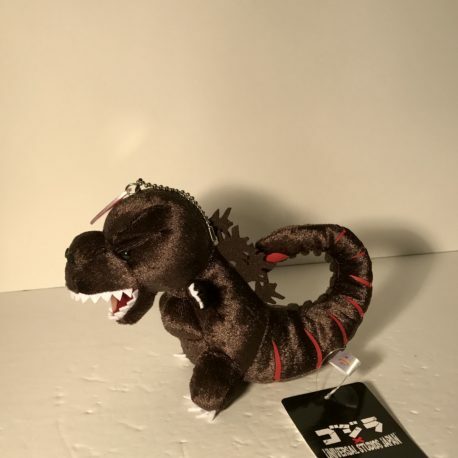 He’s made of shimmery satiny dark grey plush with red accents. The detailing and craftsmanship is far superior than what is usually found. 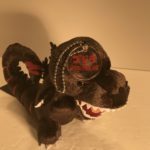 He is 7 1/2 inches from tip of snout to tail. 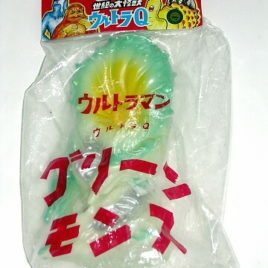 He stands about 5 1/2 inches tall and comes in new mint condition with official Universal Studios Japan hang tag.